The 10th anniversary edition of the #1 Bestselling series. "A breathtaking world and an excellent epic fantasy series! This wonderful adventure reminds me of a cross between J.R.R. Tolkien, J.K. Rowling, Tad Williams, and C. S. Lewis." "Clear and simple prose. Swift, action-oriented scenes. Solidly built." —Foreword Magazine "This guarantees fans, and those fans will be ready to wield their swords against the Dark Lord in Stanek's next installment." — VOYA, the leading magazine for YA librarians "Word of mouth turned it into a bestseller. Very satisfying." — The Fantasy Guide Bestselling Series! Over 1,000,000 Ruin Mist books sold! #1 Fiction Bestseller. In the Service of Dragons is the continuation of Robert Stanek's multilayered epic fantasy adventure for young adults that began with Kingdoms and the Elves of the Reaches. In the Kingdoms and the Elves of the Reaches books, Robert Stanek introduced readers to the story of Ruin Mist, an extraordinary world of magic, adventure, and intrigue. Now in the eagerly awaited follow-up, he once again proves himself a wonderful storyteller with a gift for fast pacing and believable storylines. 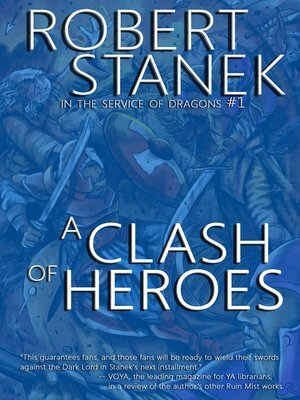 Already hailed as a classic, Robert Stanek's powerful series has been enjoyed by readers all over the world.